Sweet I Do's is a wedding and event design, coordination and planning company located in Surprise, AZ. We are available to assist you with all aspects of your planning and design from the invitations to the set up and tear down of your event. 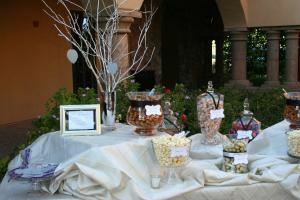 Our design niche is the creation of custom candy buffet and treat stations and our specialization is Day of Coordination with a twist. Contact us for additional information or to schedule a complimentary consultation.